Wow, the ’90s are really back, huh? 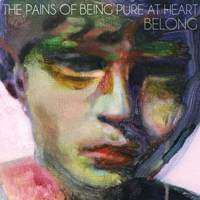 The Pains of Being Pure At Heart’s sophomore effort Belong announces itself with an abruptly heavy title track, the second indie song in a year to quote the Smashing Pumpkins’ “Today” (see also: Tokyo Police Club) with Huffington Post-level generosity. “Heaven’s Gonna Happen Now” maintains the guitar heaviness but backtracks toward the Sarah Records twee template that baked the band’s cookie-cutter debut. The rest is somewhere in between, a bolder, arena-ready sound that lands closest to the band’s inferior shoegaze-y pre-project, the Depreciation Guild (the Crystal Skulls to Pains’ Fleet Foxes). It’s certainly more the album of Kurt Feldman, the Guild frontman and Pains drummer. By letting him cut loose a bit, Belong resolves the debut’s main issue — an unchanging tempo that made the second half blander than shredded wheat — but winds up with a host of new problems. Belong, simply, is too chunky to be charming. The alternative era, in case you missed the part where Kurt Cobain killed himself, was about being miserable; former C86ers Pains’ suddenly updated nostalgia seems misplaced, especially when colleagues such as MINKS and Wild Nothing have so successfully revitalized the ’80s. There are warm enough moments here, particularly the eye-of-the-storm tenderness of “Anne With An E” or the Cure homage “My Terrible Friend,” but from a band so promising just a year ago, Belong is a wrong turn. Stream it in full after the jump.